To borrow from the lexicon of my students, I’m MAD and sad at the same time, particularly with regards to the New York State Common Core tests that begin on April 1, 2014. At the same time, though, I’m energized and inspired thanks to the many thoughtful and dedicated public education advocates I met at the Network for Public Education’s (NPE) first annual conference, which was held in Austin, Texas on March 1 and 2, 2014. 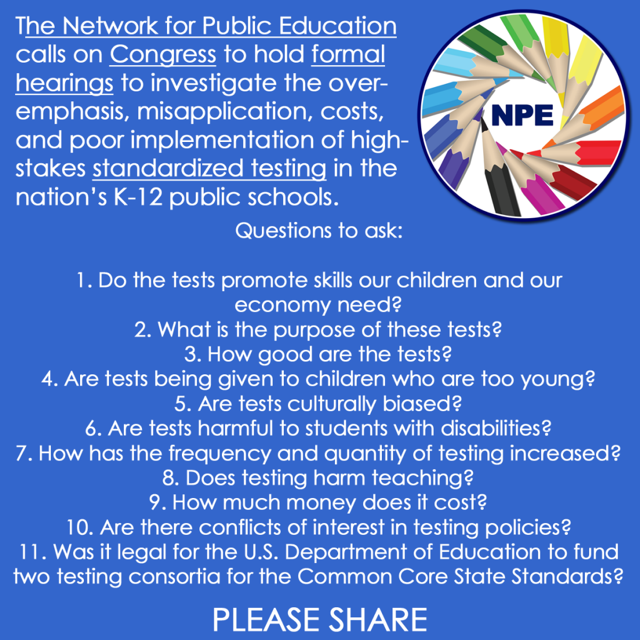 The conference ended with a call to action; Diane Ravitch led a press conference requesting a Congressional hearing on high-stakes standardized testing. Here are the details. Ever since I administered the NYS Common Core tests last April, I have been a vocal opponent of the Common Core testing program, which is indeed harmful not only to students with disabilities, but also to English-language learners (ELLs). These tests also fail to inform instruction, which is the purpose of assessments, right? Of the 2013 tests, all I know is that my ELLs received a score of 1 or 2 – 1 is considered ‘failing’ – and that few (if any) are among the 3% of ELLs in NYS who “passed.” Where is the $75,000 Pearson technical report that was supposed to be released in December? How can the state’s ever changing cut scores be considered reliable? This post doesn’t even touch upon the inherent flaws of multiple choice testing, and the fact that these Common Core state tests are not teacher-created. Much has already been, and continues to be, written about this. When I returned from Texas, I discovered that the New York State Education Department (NYSED) had released its School Administrator’s Manual for the 2014 Common Core Math and ELA tests for grades 3-8. It is a whopping 86-pages long, and its treatment of ELLs is particularly draconian. Here’s an excerpt. Schools are permitted to exempt from the 2014 Common Core English Language Arts Tests only those English language learners (including those from Puerto Rico) who, on April 1, 2014, will have been attending school in the United States for the first time for less than one year. Recently arrived English language learners may be eligible for one, and only one, exemption from the administration of the 2014 Grades 3–8 Common Core English Language Arts Tests. Subject to this limitation, schools may administer the New York State English as a Second Language Achievement Test (NYSESLAT) in lieu of the 2014 Grades 3–8 Common Core English Language Arts Tests, for participation purposes only, to recently arrived English language learners who meet the criterion above. All other English language learners must participate in the 2014 Grades 3–8 Common Core English Language Arts Tests, as well as in the NYSESLAT. The provisions of the No Child Left Behind Act (NCLB) do not permit any exemption of English language learners from the 2014 Grades 3–8 Common Core Mathematics Tests. These tests are available in Chinese (traditional), Haitian-Creole, Korean, Russian, and Spanish. The tests can be translated orally into other languages for those English language learners whose first language is one for which a written translation is not available from the Department. That’s right niños, only ONE exemption is allowed from the ELA. After just 12 months in our school system, you will be subjected to the same horror show as the rest of the state’s public school students in grades 3-8. Don’t worry, the state has generously offered to give you extended time (time and a half) on the tests; instead of 90 minutes per day for six days (3 days for ELA, 3 days for math), 5th grade ELLs, for example, are entitled to 135 minutes each testing day. That’s a total of 13.5 hours! As for the Common Core math test, there’s no getting off the hook the first year you are here because state provides translation services! And after all that, in May we are going to assess your English-language proficiency level by giving you a lengthy, four-part test in speaking, listening, reading and writing. NYSED has been hard at work aligning the NYSESLAT (New York State English as a Second Language Achievement Test) to the Common Core State Standards. It’s now more rigorous than ever before! In 2011, I read a fascinating article by Clifford J. Levy, a New York Times foreign correspondent who relocated his family to Moscow for five years. Instead of sending his kids to an international school, he decided to ‘experiment in extreme schooling’ by enrolling them in a local school where they would – presumably – be classified as RLLs (Russian-language learners). 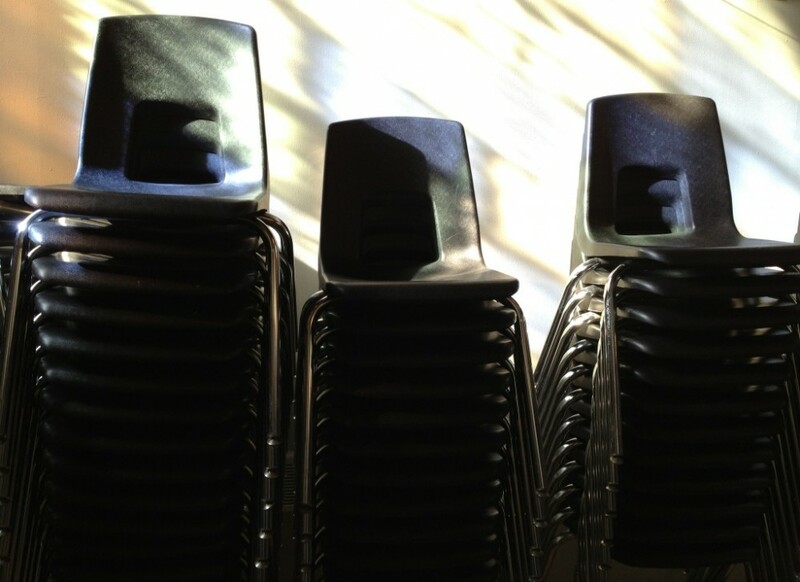 Levy writes, “to throw our kids into a Russian school — that seemed like child abuse.” Child abuse? What would he call a mandate, if such a policy exists in Russia, of forcing newly arrived expat kids to take Russian high-stakes tests? My Brooklyn elementary school gets around 30 newcomers with no English every school year, and many come from countries that use a different alphabet. In the article, Levy describes his kids’ struggles in their first year, from bouts of insomnia and depression to despair. After a mere 12 months, were his three kids mandated to take a nearly seven-hour long Russian-language arts exam over the course of three days? If so, did they opt-out? Prior to moving to Moscow, Levy’s children attended P.S. 321, a well-regarded, progressive elementary school in Park Slope, Brooklyn. Less than 2% of its student body is comprised of English-language learners, yet a significant number of its kids will likely refuse to take to 2014 NYS Common Core tests. UPDATE: a P.S. 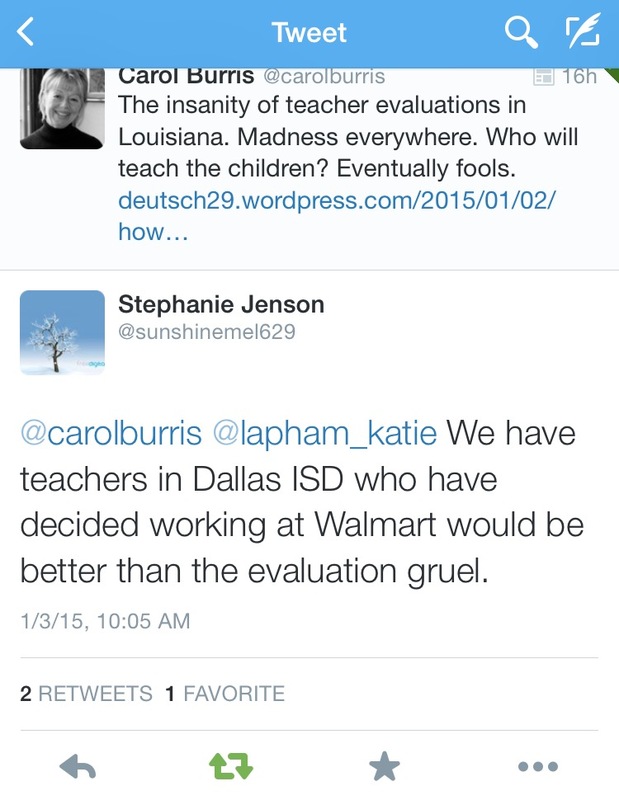 321 parent does not expect the opt-out numbers to be significant. It is not certain at this time how many P.S. 321 students will refuse the tests this year. In contrast, my Title I school, with roughly 150 ELLs, will have no students opt-out. NYS should cancel this year’s state tests – no transparency = no test – and I hope that Congress will prioritize an investigation of this destructive assessment practice. Our kids are human beings, not exploitable ‘outputs.’ They deserve better. Live streaming the Common Core forums taking place throughout New York state has become a type of spectator sport for me. While chopping vegetables for dinner, I cheer on my fellow advocates as they speak the truth about corporate education reform to a panel of policymakers that include Commissioner John King and Merryl Tisch, NYS Board of Regents chancellor. On Monday, October 28, 2013, around 70 parents and educators spoke to the panel at Port Chester Middle School in Westchester County, New York. There are thousands more of us in social media, in classrooms, in offices, and in homes who share these speakers’ sentiments. We are organized and unwavering in our mission to protect our “special interests”: the children of New York state. The next forum will take place in Suffolk County, Long Island on November 6, 2013. Here is a complete list of scheduled forums. For those of you unable to watch the video of the Port Chester forum, I share with you two powerful testimonials. “Dr. King, I’m Susan Polos, resident of Katonah-Lewisboro district. I am a National Board certified school librarian in the Bedford Central district. I was appointed by Regent Cohen as a practitioner to review and revise the ELA/ESL Standards, work that was close to finished when NY accepted the Common Core Standards as a requirement for Race to the Top money. The district where I work was at first glad to accept the funds but soon realized that the costs were greater than the reward. I am talking about more than monetary costs. In the race to ensure “college and career readiness” (as though there is one path, one type of college, one type of career), we have sacrificed the arts, music, librarians, time for interdisciplinary connections, project-based learning, experiential opportunities – all diminished or disappeared as time, money and human resources have been redirected to data collection and data analysis. In the eyes of the state, our children are numbers, our teachers are numbers, and the numbers have been clearly sorted and cut to achieve a talking point. 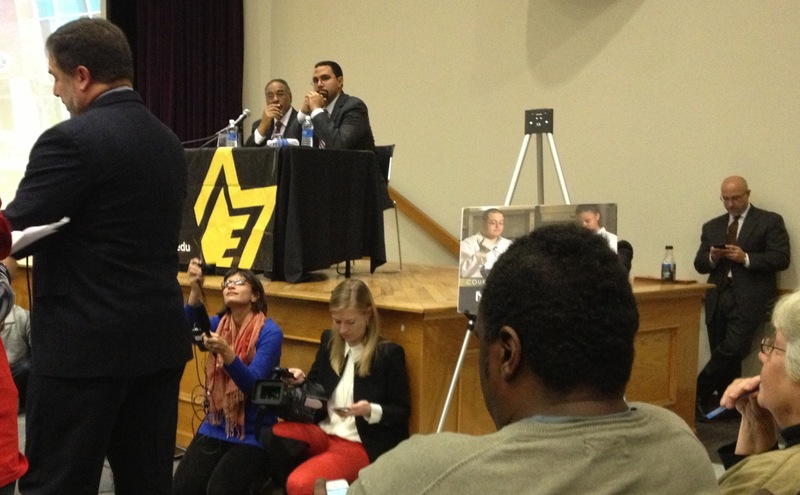 Then those numbers – attached to names – are sold to the highest bidder. The national obsession with competition hurts our most vulnerable children. Our children deserve play, time to grow, school librarians and much more. They are more than numbers. They are writers (and not to the test, which is how they are now taught), they are builders, they are dancers, they are dreamers. 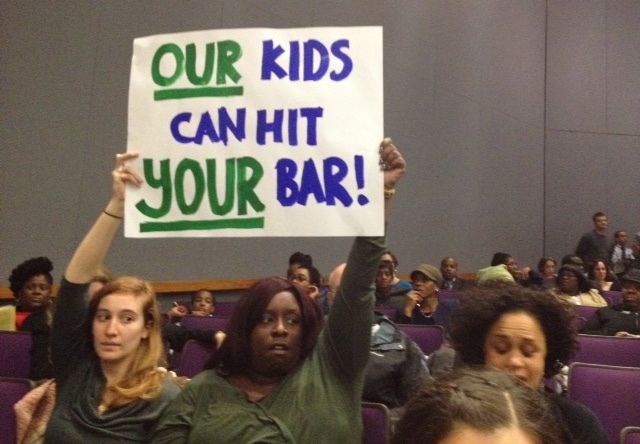 Our teachers are living through a nightmare, following directives they deplore while trying to make each day the best for every child, knowing they are the convenient scapegoat for poverty, racism, and equitable access to resources. You would not subject your children to what you subject the masses to. We all know that powerful forces are buying our politicians and thus education “reform” has become the bipartisan gift that keeps on lining the pockets of the rich while destroying the middle class and poor and threatening Democracy itself. “This is my son and your reforms have hurt him. You mandate schools to share sensitive student data. You force students with disabilities to submit to inappropriate and humiliating testing. Only now, 5 months later, after you have had to endure public outcry, are you willing to consider changes. Where was common sense and decency 5 months ago when parents begged to for their children to be exempt and when children with disabilities were being tortured. You should be ashamed. These reforms are not about education. They are about the agenda of billionaires with no teaching experience. The fact that your close advisors are the mysterious Regents Fellows, individuals with little to no teaching experience, who are paid 6 figure salaries with private donations by Bill Gates and Chancellor Merryl Tisch, speaks volumes. Private money comes with a price tag and that price tag is influence. We reject leadership that allows public education to be bought. That is not democracy. By the way, the Regents Fellow job description does not mention teaching experience as a requirement. It has been said that parent opposition is typical when change is introduced. There is nothing typical about the present response. The incompetent roll out of the common core and the naked disregard that has been shown for developmentally appropriate and educationally sound practice is unacceptable. Your recent concessions are disingenuous and a case of too little too late. They do nothing to reduce the hours of testing or the inappropriate level of test difficulty. They do nothing to make cut scores reasonable or address serious problems associated with high stakes testing. In addition to hurting children, your policies promote social inequality. Private school parents, such as your self have the opportunity to say to no to harmful testing and data sharing while public school parents are not afforded the same rights. Are you afraid of what would happen if you gave all parents a choice? 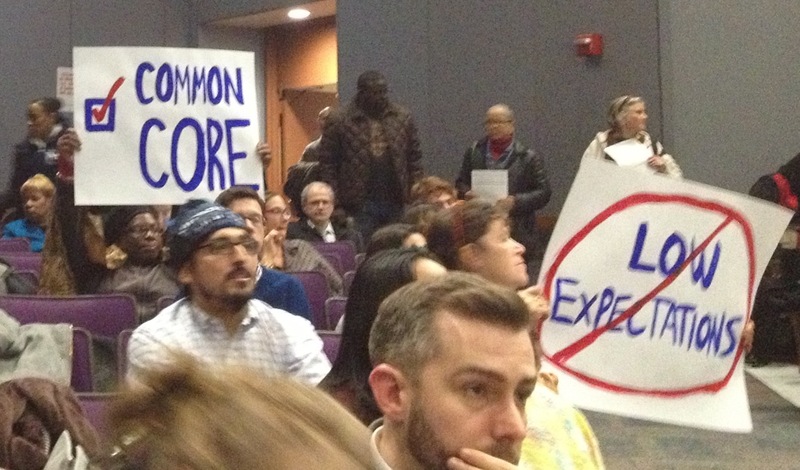 As a NYC public school teacher who proctored the 2013 Common Core state tests, I am calling for the immediate resignation of Commissioner John King. Through his corporate ed reform policies, he is robbing our children of their right to a meaningful education. Please save our schools.